Description : As Jinchuuriki, they have big power inside their self, for the first time Naruto thought Gaara as his opponent but after knew that they are same, BONDS between them become more stronger than before. With Shukaku and Kyuubi inside their body, Akatsuki tried to take their power for their own purpose. Are they able to survive their live from Akatsuki? 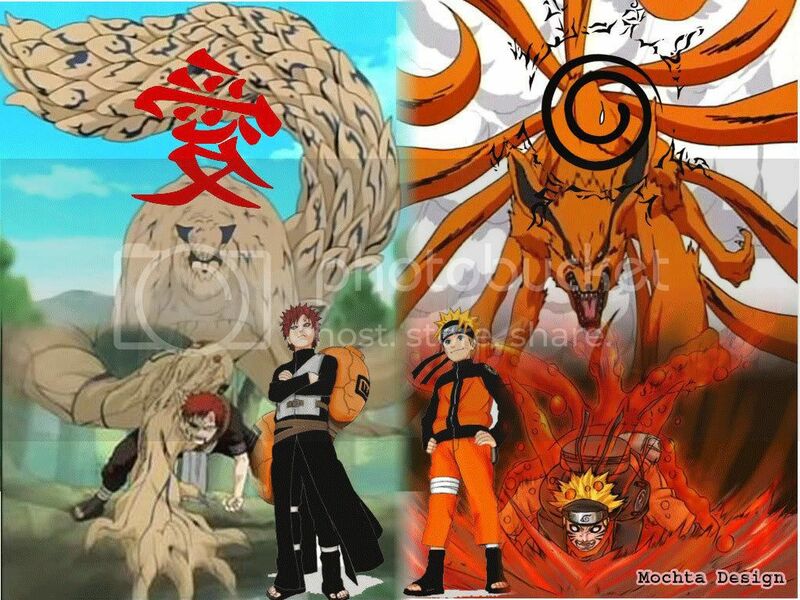 Just watch Gaara and Naruto action in fight with Akatsuki on Naruto Shippuden. Don't forget to click this image if you wanna get this cool Gaara and Naruto as Jinchuuriki wallpaper.